So, followers of this blog will know that I seem to get quite a lot of branding tasks, and that I don’t much like themes, preferring to use either the AlternateCssUrl and Features instead. Features are great – you can deploy the CSS/image files you need, set master pages (and handle Meeting Workspaces), themes, AlternateCssUrls. They can also add HTTP Modules for branding Application Pages. Themes, on the other hand, are fiddly to install automatically, don’t work on the DatePicker, and are individual to each site once applied. To pick up changes to a global theme, you’d have to apply a different theme and then reapply the desired theme – for every site. Anyway, I was interested that the themes could all be activated as features. This rather kept with my feeling on how branding should be deployed. 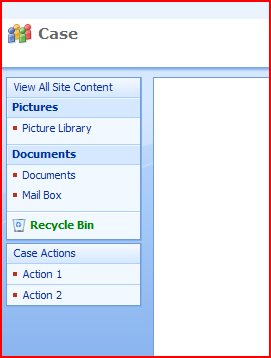 However, some of the themes (though not all) were suddenly available in the ‘Site Themes’ page of my SharePoint system. I knew from experience that this isn’t something that ‘just happens’ – previously, I’ve done it by hand. 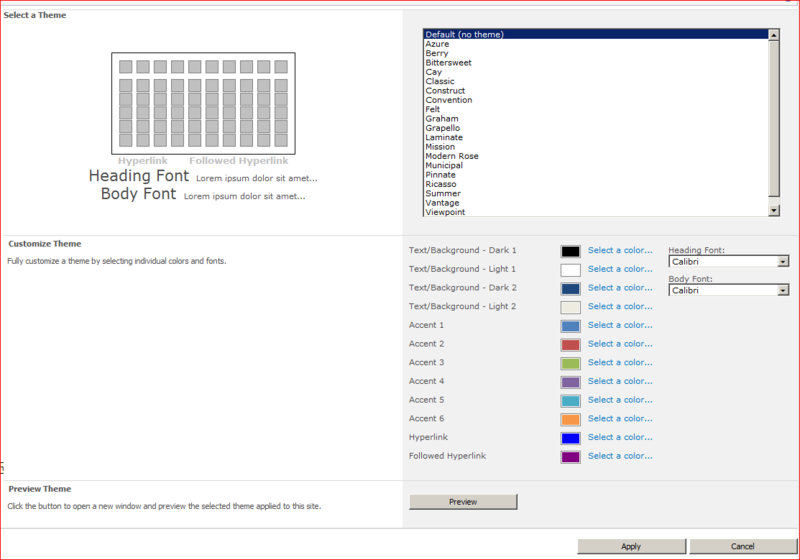 The Wiki and Blog sites have pages that make use of the PlaceHolderLeftActions content placeholder. I’ve mentioned this before regarding putting a web part zone below the quick launch menu. This time I wanted to list some actions for our ‘case’ system.